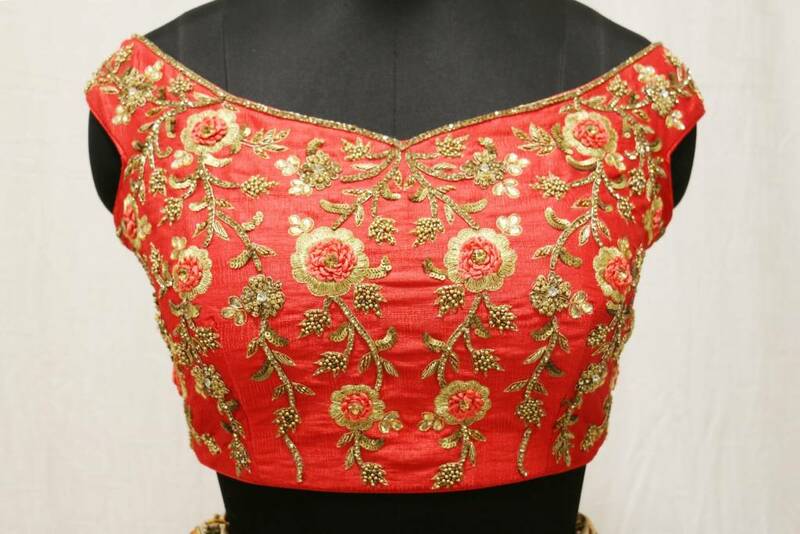 Beautiful red lehenga with off-white combination never goes out of style. 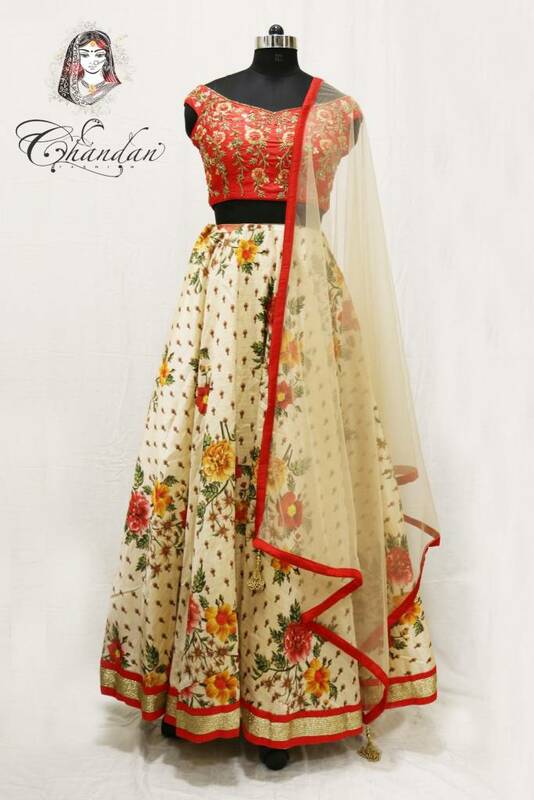 This magnificent piece is a signature style for any occasion, be it a girl’s lunch party, or a day wedding or Sangeet, it’s a must-to-have in your wardrobe. 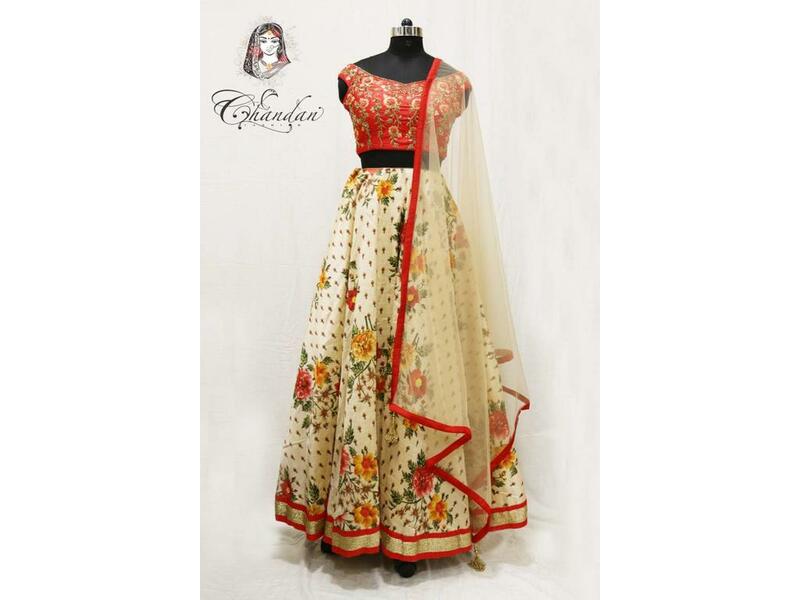 Floral multicoloured designer skirt with embellished red and golden blouse complements each other and gives it a romantic touch to your attire. 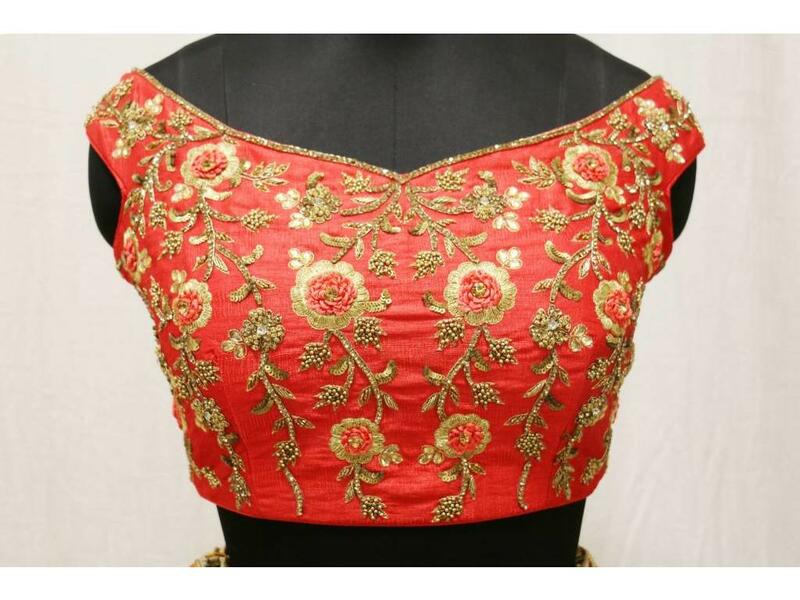 You are the epitome of fashion in this beautiful lehenga choli! On top of that, it ensures comfort, ease and adaptability for different occasions.